Stats: From Red Box to JCT South Strawberry Saddle Trail; 0.8 miles, 280′ gain. From JCT South Strawberry Saddle to Red Box; 0.8 miles, 280′ loss. Round Trip; 1.6 miles, 280′ gain and loss. 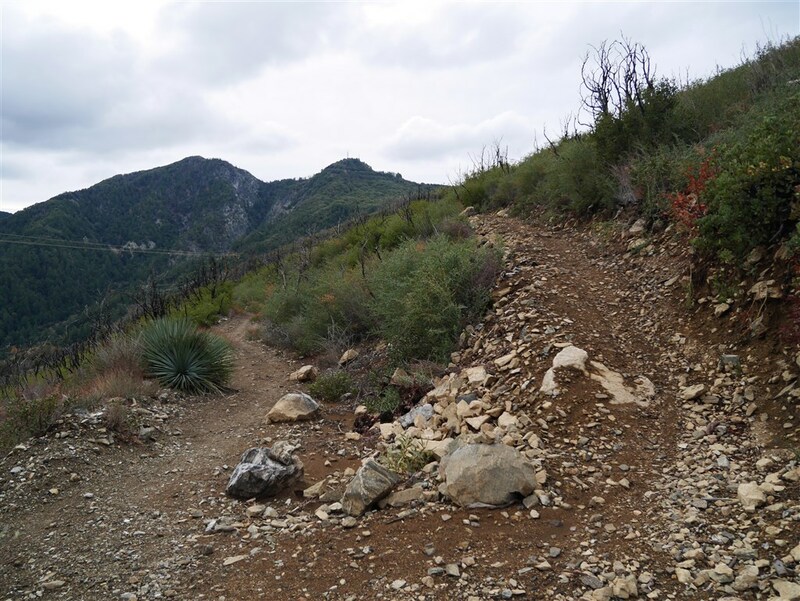 Red Box to Strawberry Peak: 7 miles, 1845′ gain and loss. 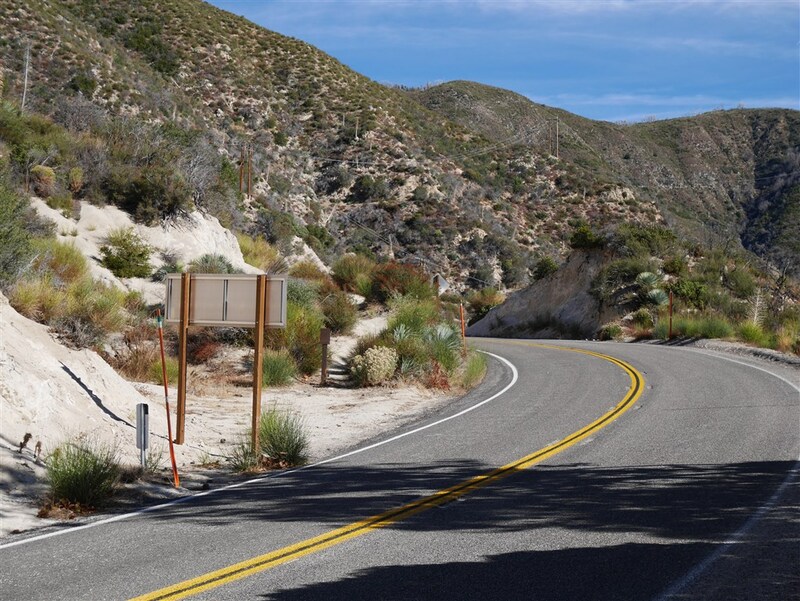 The trailhead is across Angeles Crest Highway northeast of the parking area at Red Box. 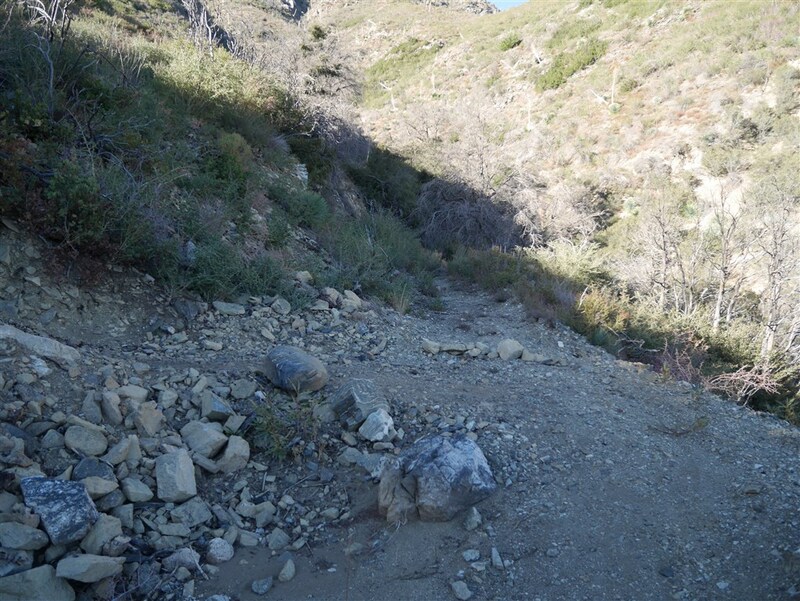 Follow the road up to a junction that forms a switchback initially heading back toward San Gabriel Peak. View of junction as seen heading up the trail from Red Box. View of Junction looking back toward San Gabriel Peak.